The Prime Minister showed his angry side on BBC One last night, but it really is just the tip of the iceberg as his favourite part of the electoral process gets another airing tonight. “Are you going to watch the debate tonight?” asked Samantha. “Empty chairs make me angry too. I’m adding them to the book,” he said as he took out a little notebook engraved with the title: The Little Book of Rage. “Why does no-one invite me to things anymore?” asked Nick Clegg, as he bemoaned the fact that he hadn’t been asked onto this evening’s debate. “You still here?” said Vince Cable. “Not just yet,” said Vince. “What are you doing here?” asked Yvette Cooper of Theresa May, at the studio for this evening’s debate. “Not just yet,” said Theresa slyly. Labour are preparing their happy warrior to go into battle, with screen-test preparation for the Leader of the Opposition, conducted by Labour’s media director. 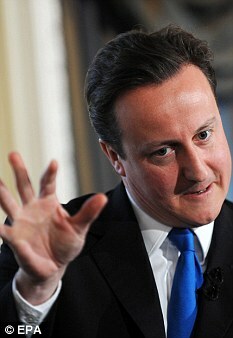 “Are you relaxed Mr Cameron?” asks Matthew Holehouse of The Daily Telegraph, rather boldly. The permanently seething PM sardonically answers, “I don’t feel relaxed, but I’m doing an impression of it”, and he walks on making a mental note to punch a cushion at the earliest opportunity. Cameron flies into a rage. Well, from one rage to another. He takes his notebook out. He tries to write in the name but finds his pen is out of ink. The Prime Minister storms out, leaving a bewildered team. Events depicted may differ from actual events. In fact, this is a work of fiction, with some facts. But mostly, it's nonsense.